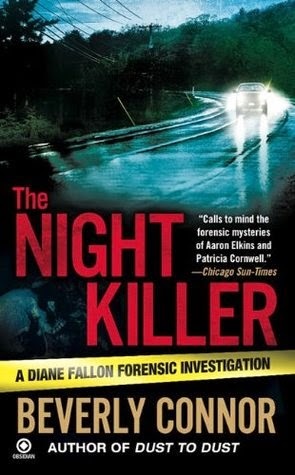 Forensic investigator Diane Fallon fights for her life in her eighth mystery. Diane is driving through a downpour on a windy mountain road after picking up a set of rare Indian artifacts when a tree suddenly slams across the hood of her car, revealing a human skeleton in its hollow trunk. Again, I enjoyed this one. I like the series but I suspect it is getting a little formulaic. Every one I read has the lead character ending up personally embroiled and attacked in some way ... which I suspect is not how it happens in real life at all, ever. That said I still enjoy the characters and will keep reading.